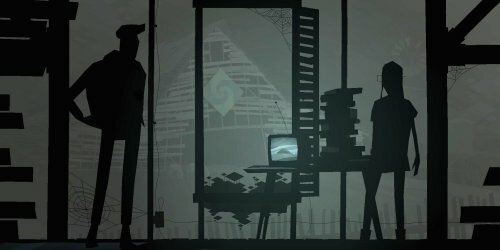 And so we continue our unofficial, accidental series on indie games in this week’s episode of the Moving Pixels Podcast with Kentucky Route Zero. It was noted in the preshow talk that apparently the recordings have gotten quite longer since I started appearing on the show. That continues here with almost two hours of talk. So, note the length just in case. As for the sound quality on my end, this is becoming a real pain, I tried a new set up for this episode that managed to get the mic right in front of my face the whole time. The end result is slightly better at times. This is the last time I’m using that mic. I don’t know what other people do to get it to sound presentable. Me, I spend $30 and got a new one. I’m hope it comes off sounding good. I don’t know and I’m making myself worry a bit to much. Anyway, I really love Kentucky Route Zero and I have a lot of thoughts on it. I’ll probably end up writing an essay or two on the game. But a complex game requires complex thoughts, which means it’s going to take some time to collect and organize them. In the meantime, listen as we discuss all aspects of the first episode of Kentucky Route Zero. Spoilers abound.